We put additional information in the release on February 19, 2015. Additional information: Suitable for use with Android Wear. 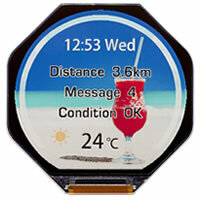 February 19, 2015 (Tokyo, Japan): Japan Display Inc. (JDI), a leading global supplier of small- and medium-sized displays, has announced the start of sales of a standard line-up of memory-in-pixel (MIP) reflective-type color LCD modules for wristwatch-type wearable devices which realize ultra-low power consumption. Power consumption of these reflective-type LCD modules is less than 0.5%*1 that of transparent-type LCD modules. Samples will be available in March 2015 and the start of sales will be in July 2015. Low power consumption is a key factor for wearable devices, to provide long battery life. Since the new reflective-type modules display images by reflecting light, they do not require a backlight, which typically contributes up to approximately 80%*1 of the total power consumption of an LCD module. Furthermore, since the MIP structure has a static random access memory transistor fabricated in each sub-pixel, in the case of still screen images, once the data is written it is held, resulting in ultra-low power consumption. In addition, the optimized optical design contributes to bright and crisp reflective-type color images, especially under bright sunlight conditions. 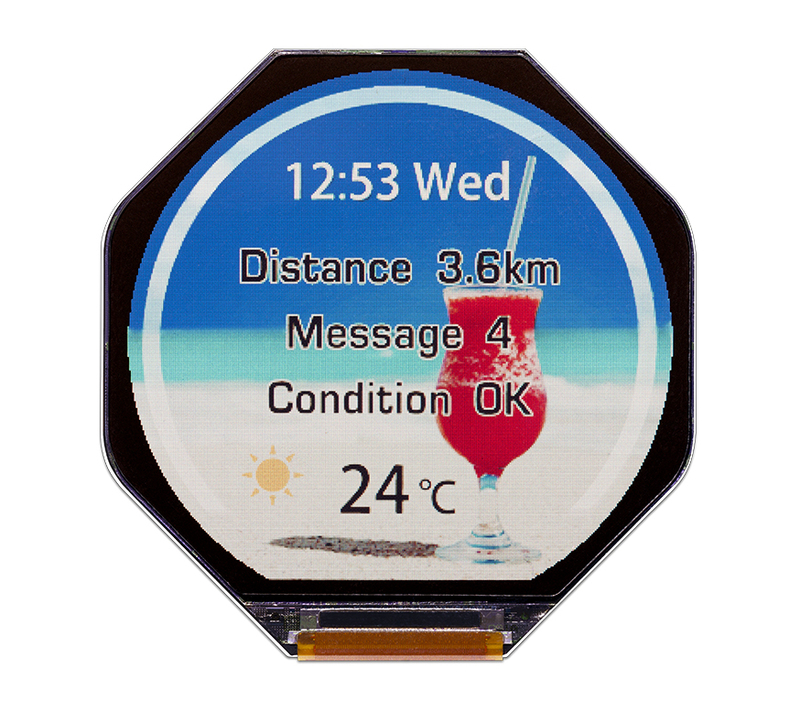 JDI has produced and sold reflective-type color LCD modules for wristwatch-type wearable devices since January 2014. Now, JDI’s intention is to widen the business of reflective-type color LCD modules for wearable devices by offering a new line-up of standard products. The standard line-up will help to minimize the workload of product development and shorten the time period for product release. JDI is also planning to offer an additional line-up of standard reflective-type color LCD modules, not only for wearable devices but also for industrial applications, to meet the wide range of market needs for displays with ultra-low power consumption. Suitable for use with Android Wear*2. *2 Android is a trademark of Google Inc. Android Wear is Google's OS for wearable devices.